September 2018 - Boutique Hotelier - Christmas Bookings - How prepared is your team? July 2018 - Rise & Shine - HGEM are launching The Hub – a new Guest Experience Management (GEM) platform. July 2018 - On Trade Progess - HGEM launches new guest experience platform, The Hub. June 2017 - The Morning Advertiser - Third-party delivery firms - good or bad for pubs? December 2013 - Do pub hygiene scores count? May 2012 - Publican Sam - personal advice, tips & guides - Who was that masked man? March 2011 - Guardian - Would you be a mystery diner? March 2011 - Big Hospitality - Service standards - Why is British service so poor? October 2010 - Freehouse 500 - Are you serving your customers? May 2010 - Grub4Life - Become a 'Mystery Dining Family' and eat for free! May 2010 - Families Online - Could you be a mystery diner? Take the family and eat for free! 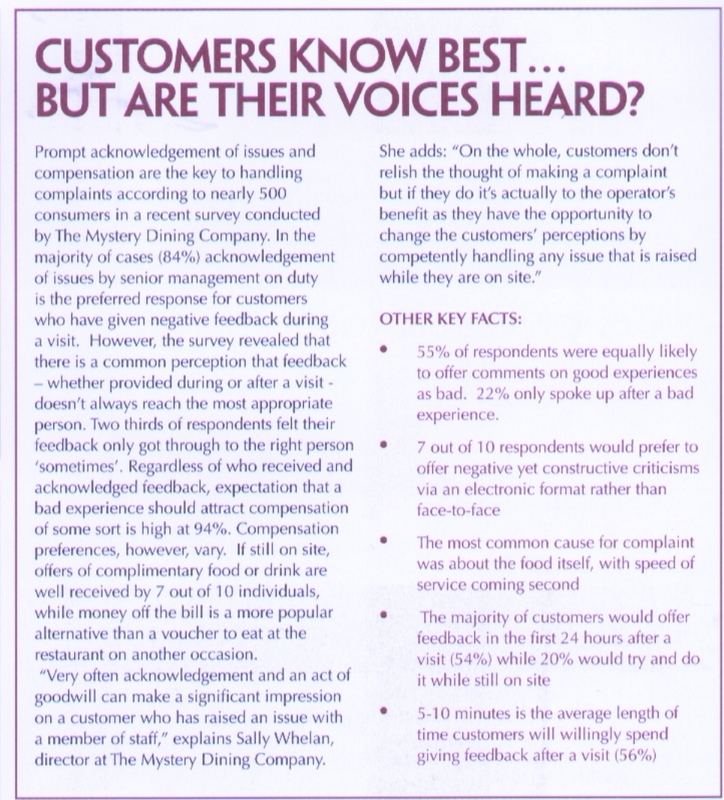 March 2010 - Yes Chef - Customers know best... But are their voices heard? February 2010 - UK Airport Information Blog - Free lunch at Heathrow Airport?